We're snow enthusiasts on a mission to create the best sledding experience out there. Getting kids outside and active matters to us. Whether they are carving turns down a steep snowy mountain or challenging their parents at a race on the local neighborhood hill, Zipfy kids are outdoors and having fun. Zipfy made its first appearance on the slopes in the winter of 2007. It quickly became a sensation with kids of all ages, all over the world. We have won numerous product awards over the years, including Mom’s Best Award Winner, Yahoo Best Sled for Kids Award, Amazon’s Best Selling Sled for 5 years straight, and Creative Toys Magazine’s Product of the Year Award. We also received recognition by Ernst & Young for Entrepreneur of the Year Award Finalist status and were recognized by Profit Magazine as the #1 Fastest Growing Business in Canada in 2010. We also pride ourselves in working with suppliers and manufacturers in our immediate community. 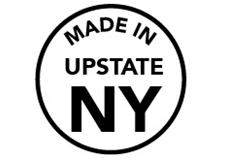 Zipfy is wholly manufactured in the snow belt area of upstate New York, at a cutting edge facility where it is precision molded of high density polyethylene. Our design team resides in the Greater Toronto Area, an hour’s drive from the blow molding facility in Buffalo, NY. Available at www.zipfy.com, Amazon.com and other retailers worldwide.